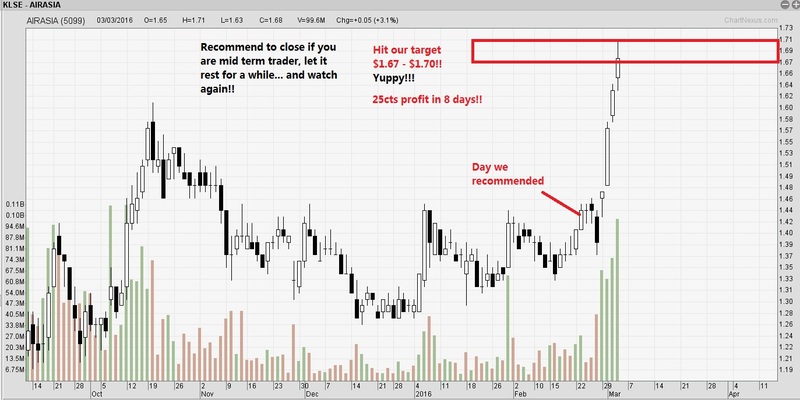 Daniel Loh: Malaysia Stock Watch: Airasia hits our target!! Congrats! Let it rest for a few days.... resistance zone at $1.70-$1.80 now! 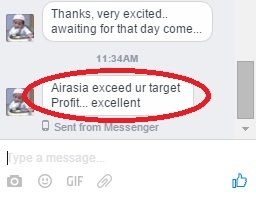 Malaysia Stock Watch: Airasia hits our target!! Congrats! Let it rest for a few days.... resistance zone at $1.70-$1.80 now! 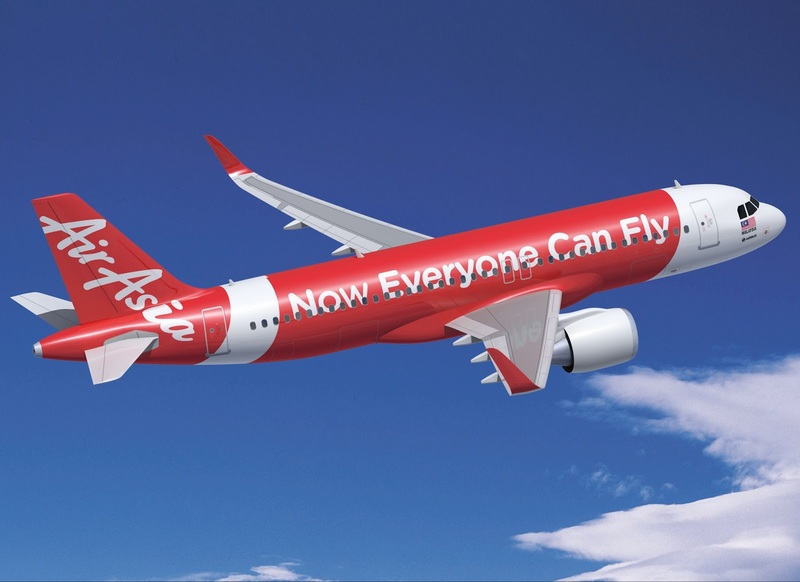 In our last article, we did recommend you to look at Airasia. We mentioned that we are bullish on the market and seeking good momentum stocks. 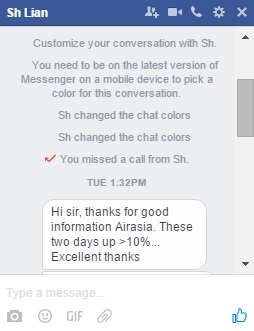 Airasia is one of them! Congratulations on those that went in with us. Airasia did go from $1.45 to today $1.70 within 8 trading days. Based on my analysis, I do think that this stock might need to rest for a while before running again. There is certainly BIG PLAYERS inside this stock, just that it has reached a certain resistance zone now. The resistance zone will be from $1.70-$1.80. That is the reason why we placed a target profit slightly before this resistance zone at $1.67-$1.70 in the last article. As short term traders, my recommendation is to always sell before a resistance zone and don't be greedy! That was what I learnt in my years of trading and it had helped me. 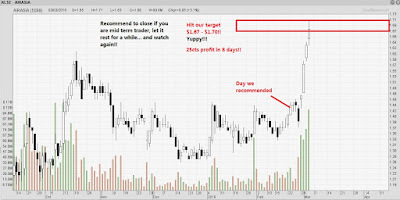 Take profit is also one of the skillset a good trader needs. You don't want a case where your profits vanish because you hold on to a stock that for too long! When I exited, it does not mean I will abandon this stock! I will continue to monitor the progress for the next few days. If indeed I find that there is still ACCUMULATION on this stock, I might go in again. The KEY is to know the Big Players are secretly still accumulating or not. Rest assure that I will still give my opinions on this stock again! Just let me take profits first, take the money, enjoy & spend it over the weekends!